Berlin, 12 September 2018: The Baltic Sea Philharmonic and Kristjan Järvi will start their ‚Nordic Pulse’ tour on 17 September with a concert at the Merano Music Weeks, the third of a total of four international tours in the orchestra’s anniversary year.The ‘Nordic Pulse’ programme focuses on leading composers from the Baltic Sea region, both past and present. The orchestra will then travel from Merano to Germany, where it will perform for the first time in Munich on 18 September. After a performance in Halle (Saale) on 20 September, the Baltic Sea Philharmonic will open the 25th Usedom Music Festival in Peenemünde in presence of the German Chancellor Dr. Angela Merkel on 22 September. The tour will conclude with a performance in Gdansk (Poland) on 24 September. 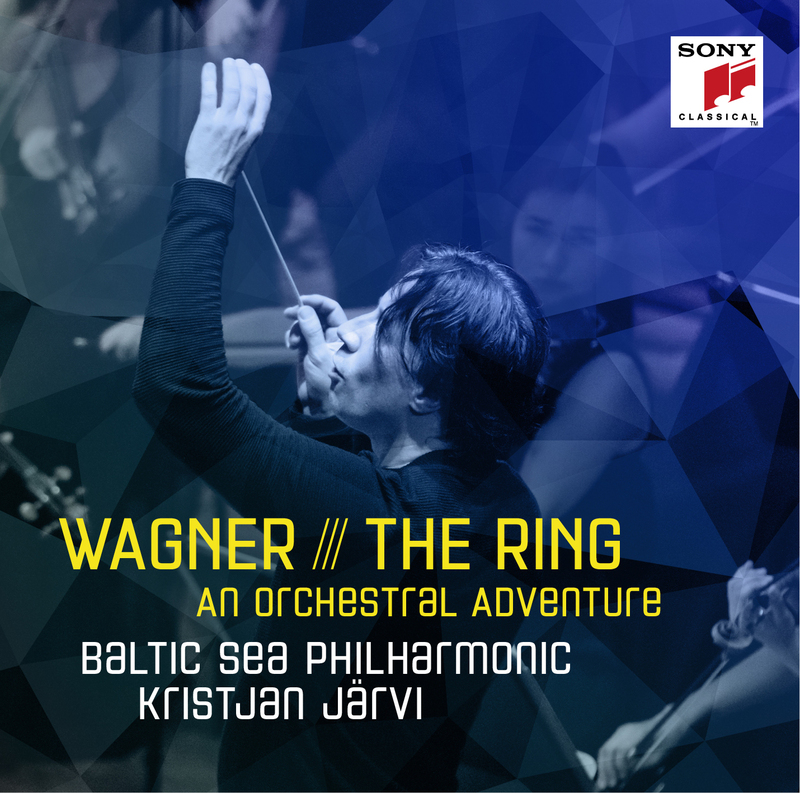 ‘Nordic Pulse’ is a double celebration for the Baltic Sea Philharmonic. It marks ten years since the orchestra’s creation and 100 years of independence for the Baltic republics of Estonia, Latvia and Lithuania, as well as Finland and Poland. Under its Estonian-born conductor Kristjan Järvi, the orchestra brings together music by composers from all five countries, in a programme that celebrates the energy, strength and natural wonders of these proud Baltic Sea nations. Representing Poland is Wojciech Kilar, whose Orawafor chamber string orchestra is inspired by the highland folklore and landscapes of the Tatra Mountains. Contemporary Lithuanian composer Gediminas Gelgotas captures the power of nature in Mountains. Waters. (Freedom), an uplifting and majestic piece that the Baltic Sea Philharmonic premiered in 2015. Norwegian violinist Mari Samuelsen joins the orchestra to perform two works by Estonian composers: Fratresby Arvo Pärt and Aurora, a violin concerto by Kristjan Järvi which is inspired by the iconic Northern Lights. Finland is represented by its most famous composer, Sibelius, whose concert suite from ‘The Tempest’ is considered by some to be one of his greatest achievements. The programme closes with the propulsive first movement of Latvian composer Imants Kalniņš’s ‘Rock’ Symphony from 1972, its driving rhythms and rock elements combining in a powerful expression of protest against the authorities of the time. The Baltic Sea Philharmonic made history on its 2017 ‘Baltic Folk’ tour by becoming the first orchestra to perform Stravinsky’s The Firebird– in its 1945 orchestral suite version – completely from memory. For ‘Nordic Pulse’, the musicians will once again set aside their stands and sheet music to give memorised performances of the final two works on the programme, Sibelius’s concert suite from ‘The Tempest’ and the first movement of Kalniņš’s ‘Rock’ Symphony. The Usedom Music Festival celebrates its 25th anniversary in 2018. The festival, which is dedicated to music from around the Baltic Sea, has a special significance for the Baltic Sea Philharmonic, because it was through an initiative of the festival and its director Thomas Hummel that the orchestra was created in 2008. This year, as the Baltic Sea Philharmonic celebrates its tenth anniversary, the orchestra has the honour of opening the 25th edition of the Usedom Music Festival with ‘Nordic Pulse’ in the presence of German Chancellor Dr. Angela Merkel.